Well the cat’s out of the bag folks! NAB is officially here and with it a whole new lineup of camera support equipment for video and photographers alike! We’re proud to display the all new FH-55 Fluid Head, VS-88 Video Slider, VG-02 Video Gimbal Head, and two new tripod lines — the X-Series and 4-Series. We’re excited to bring the same level of quality and support to the video realm and hope to have a positive impact on the lives of all those who use our gear. If you weren’t able to make it to Vegas first hand to see the new members of the RRS family, then scroll down and check out the new additions. 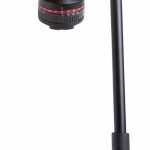 The FH-55 Fluid Video Head is the perfect precision tool for DSLR and lightweight HDV filmmakers. Featuring an infinitely adjustable counterbalance up to 10 pounds, 3 selectable fluid damping settings, and the RRS Arca-Swiss style dovetail quick-release system, the FH-55 offers the versatility and attention to detail that’s worthy of the Really Right Stuff name. The VS-88 Video Slider provides straight, smooth travel with a precision ground wheel raceway and ball bearing wheels which are fully enclosed and shielded from the elements. The design allows for quiet, skip-free travel by using a high pitch drive gear and Kevlar infused urethane drive belt. The type 3 hard-coat anodized rail has dual dovetails for multi-purpose use and mounting directly with any RRS tripod support system. The versatility of our current modular gimbal head system and silky-smooth articulation help set this head apart from the crowd. Both the vertical and horizontal have 4 levels of damping and are completely lockable. 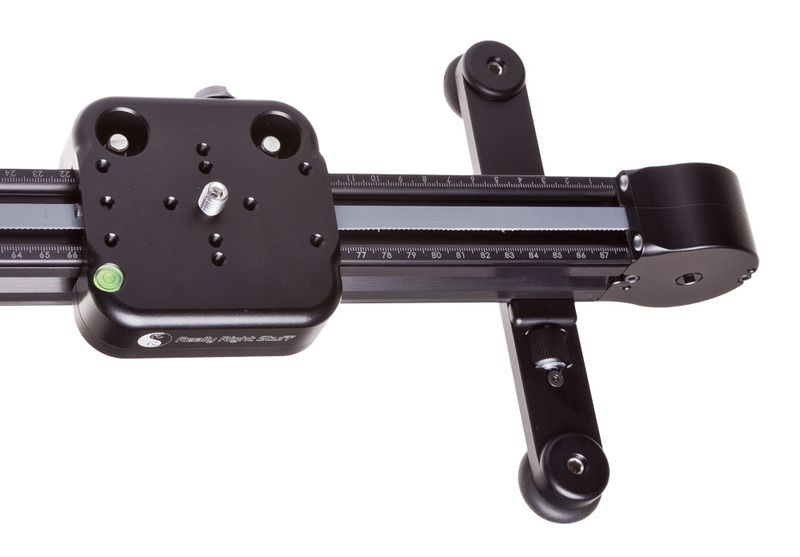 An advantage of the gimbal system is it can balance virtually any weight; simply find the center of mass for your system, lock it into place and start shooting. 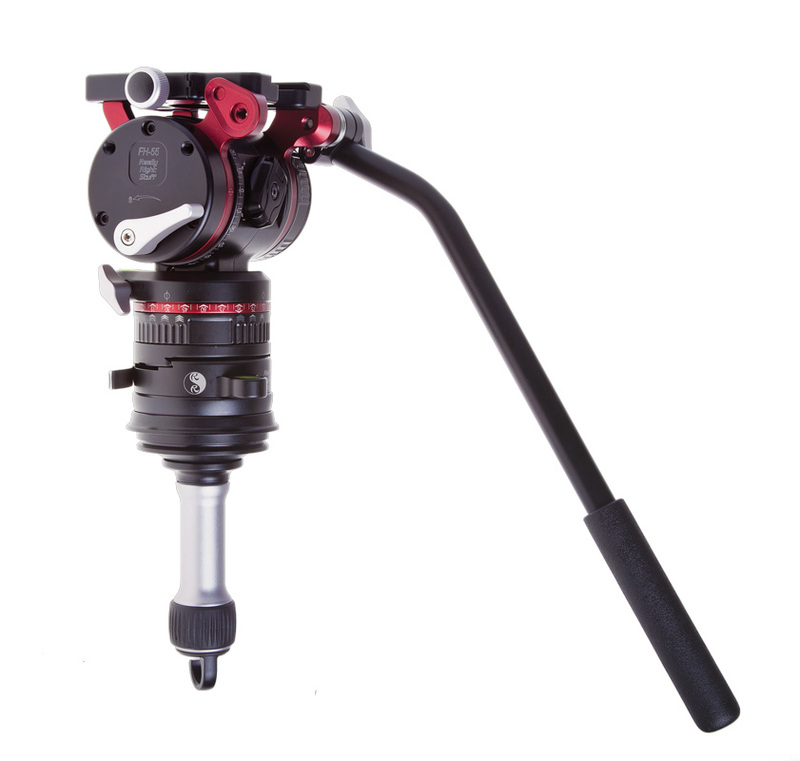 The VG-02 Video Gimbal head is a fantastic alternative to a fluid head for a wide variety of applications. 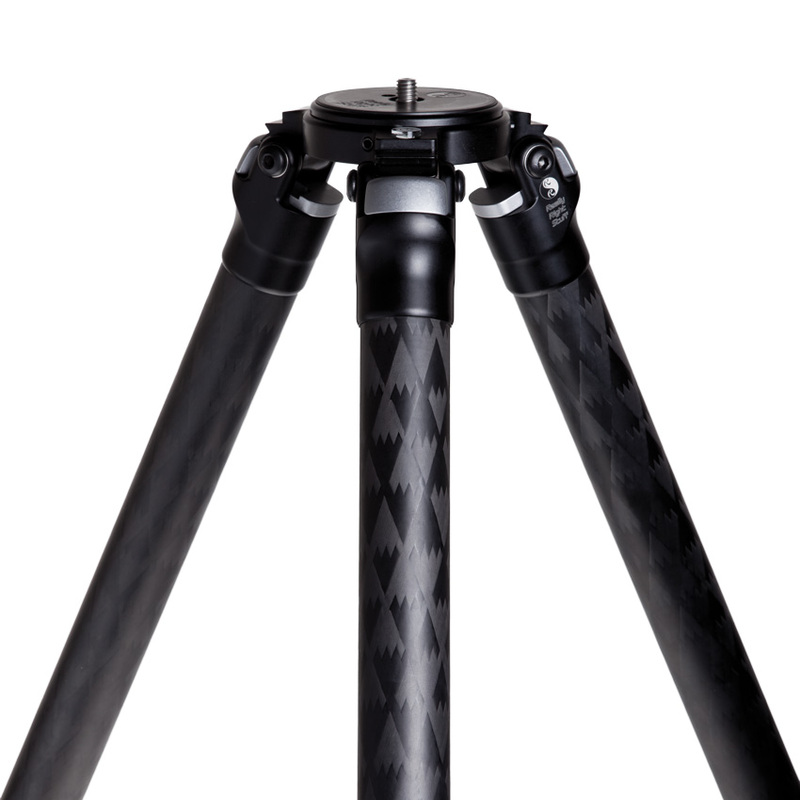 The TVXC is not your average tripod. Aside from the superior carbon fiber tube design, precision machined aircraft grade 6061-T6 aluminum parts and machined entirely in the USA, RRS developed a new leg-locking system which allows virtually infinite lockable, splay-positioning of the legs from -2° to 85°. This gives the flexibility of a spreader without the added weight. Check www.ReallyRightStuff.com for upcoming accessories. Tripod users, meet the new big boy in town. Conservatively rated to hold 85 pounds, this beast only weighs 7.7 pounds, is 80 inches tall and folds down to a mere 24 inches in lengh. 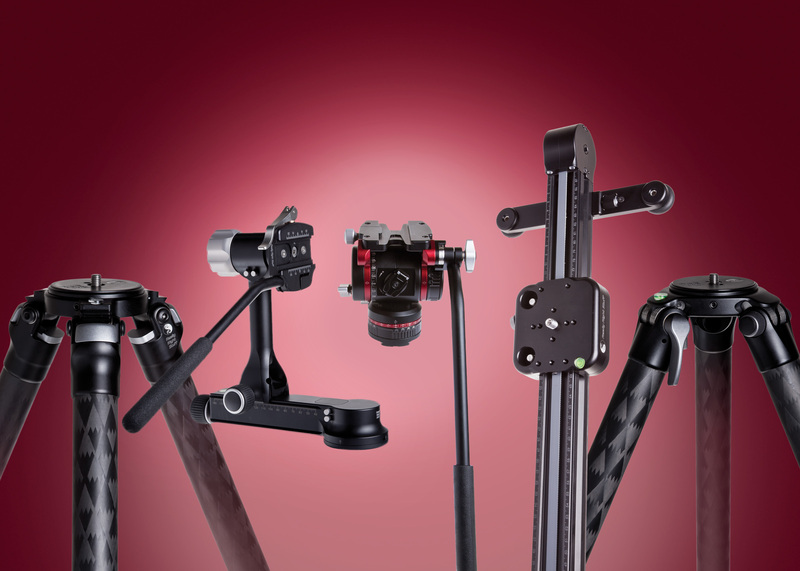 All of the reliability, CNC-precision and beautiful craftsmanship that makes RRS tripods coveted around the world are built into the Versa Series tripods. When maximum support is required, Rock-Solid is what this monster delivers. To see more of Really Right Stuff and what we’re doing at NAB, check out our Facebook page for live updates! Sweet, can’t wait…. Imagian ordering and prices will be available soon. damn, just ordered the tvc-33 ! Thats looks nice. When ? When ? More Photos ? Short video from the show floor. I’ve been waiting for this day! The circle is now complete! Sign me up! My mouse is waiting to click the “Add to Cart” button. 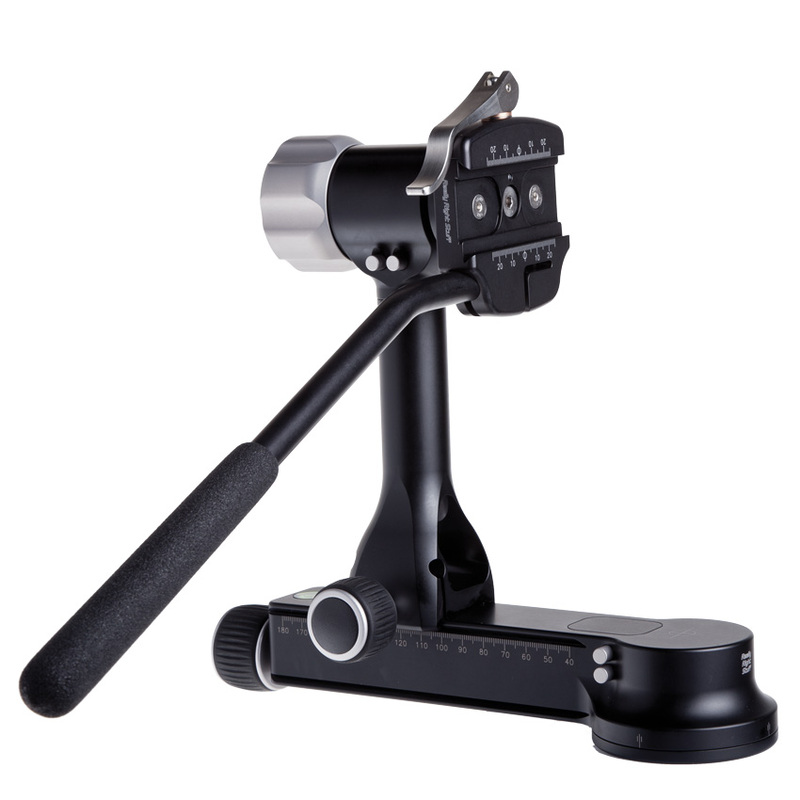 When can I get my hands on a VG-02 Video Gimbal Head? We’re hoping to have them available by the end of summer along with the new tripods. We will of course have pre-orders open once a release timeline is available. The horizontal arm of the new gimbal head has markings every 90 degrees only? We didn’t quite have time to get the prototype fully laser engraved before showing it at NAB – the final product will have the same precision scale as the PG-02, with marks every 2.5 degrees (in both axes). And RSS nails it again. No surprise there! The -40 and -55 numbers on the ballheads come directly from the diameter of the balls themselves, so we continued the naming convention according to physical size, not strength. I’d imagine if and when we have a larger fluid head the numbers would simply be higher than the FH-55 (i.e. FH-70, FH-85, etc.). Interesting, I didn’t know those numbers actually corresponded to anything. Since it doesn’t have a ball, what aspect of the new head is 55mm? Maybe the base size? I’m not sure anything is exactly 55mm, but the base diameter and scale is congruent with the BH-55 and Versa 3 apex sizes, so we used that as the starting point for the naming scheme. That Series X looks promising. My RRS Series 4 tripod has been a big disappointment. I always have to carry allen wrenches to tighten the legs and now I find myself leaving it at home for my old gitzo, which never gave me any problems. Also the push out knobs to spread the legs is a little weak, had to send it back to RRS to have it fix. With that said, I will definitely buy the FH-55 Fluid Head. It will be nice not having to change plates for different systems. We don’t yet sell the Versa 4 Series, so I assume your tripod is a Versa 3 Series model. Please have a look at this blog post which highlights the use of Loctite to keep the leg joint tension at a desired point. If you have further questions you may email me at jim@reallyrightstuff.com. Jim, you’re right. I have the Series 3. I’ll take a look at the blog. Love the idea of a 4 series tripod. Does that mean we might see the next incrementally larger ballhead as a match? That would be the ultimate for me, but wondering if the apex section is a larger diameter than the 3 series to even accommodate the notion. The Versa 4 apex is much larger, big enough to accommodate a 100mm ball base – the Versa 3 can only fit a 75mm ball base by comparison. I couldn’t say if a larger ballhead is planned for stills, but we’ll see! I’ve heard several complaints about the choice to go with parallel (to image axis) AS clamp orientation when most of RRS AS camera plates, especially for cameras FH-55’s target weight class, are perpendicular. Will this have an “indexing” AS clamp like the MH-02? Because fore/aft sliding is key to being able to properly balance on top of the head (for proper counterbalancing), the built-in clamp always needs to be fore/aft on a fluid head. We would use MPR-CL or a similar rail to adapt between the fore-aft clamp and the left-right camera plate, simultaneously giving a long range of adjustment for balancing. The result is a double quick-release plate in that case, however it’s nice and low-profile. True video cameras like RED and the Canon Cinema EOS series have their own custom fore/aft plates in our lineup for direct mounting. In response to Lee Saxon: Adding to Jim’s Comment I would also consider using a MPR-192 with the MPR-C (to keep it straight) using the L-Plate’s 1/4″ Mounting hole. There are several reasons I have found for this, First it’s a bit cheeper, it’s a bit more secure for situations where you are taking the camera on and off allot, theres no knob to loosen up (Most RRS L-Plates have no stops to keep loose clamps from allowing the camera to slide off). Thirdly I have found a cleaver way of using the B2-FAB-F with a 1/4″ Noga arm to mount monitors, recorders, small lights and other accessories to RRS rails and plates. Using the MPR-192 allows for a larger portion of the rail to towards the back of the cameras to mount some of these accessories. Love your “Stuff” Erector Set for Camera junkies. Will you have or make an accessory stud with 1/4-20 female end, where the handle attaches on the fluid head to accommodate a friction arm and monitor/audio recorder? I’m not sure if they plan to include any other accessory mounting holes on the fluid head, but I’ll certainly pass along that interest. Not an extra hole but use the existing hole that is vacant on the opposite side where the handle is screwed on to. Create a stud that screws in and on the opposite side a female 1/4-20 female. Create a stud to screw in the exiting hole where the handle will normally screw into (vacant side). On the other end of the stud is a female 1/4-20 to screw in a friction arm with monitor or other accessory. I had the opportunity to see the head at NAB and talk to Joe. Here is a link to the video and pre-review. Thanks for sharing that Erik – yours was one of the more informative conversations we saw filmed there. Good to hear! It was great to meet the Joe in person and the RRS team. Nice bunch you guys are. Nice stuff… Would love to have a large heavy duty pan tilt head to match the No. 4 legs. Some of us use view cameras that lend themselves to individual XYZ adjustments, not like those toy digisnappers. We are definitely aware of the demand (albeit relatively low compared to other products) for a 3-axis head, or potentially a geared-head. I’m not sure what Joe has planned in the near term in that product category, if anything, but I’ll certainly pass along your interest. So It looks like the FH-55 will run in the $1500-$2000 range. I’m particularly interested in the VS-88 slider. Is it a manual crank slide? Optional motor drive? How does it work when hand dragging by the plate instead of cranked? Is it on the same end of summer timeline? Our video sliders will not have any crank handles – the sled will move manually by hand, or by a motor with the belt-drive installed. We hope to have the basic model out before the end of summer (July/August) and the motor and other accessories should follow closely. Can you tell us a ballpark cost for the VS-88 slider? Nothing really specific as of yet – we’ll have more specifics when we get closer to the release. Any plans to bring the “X” to other tripods in your line-up, like the 24L? Thanks! Will be FH-55 fluid head compatible with other brands tripod? Yes, the FH-55 will have a standard 3/8-16 threaded socket for mounting to just about any industry-standard platform. It will also have two 1/4-20 sockets for additional uses, and a built-in Arca-Swiss dovetail for convenient quick-release mounting should you need it. You can sign up to receive our E-newsletter, and follow us on Twitter, Facebook, or Google+ for the most up-to-date information on those releases. I’m afraid we don’t have any specific notification system for individual products, but we’ll always announce all over the place when pre-orders open up! Looking forward to grabbing one. (1) How durable is the leg lock mechanism for repeating lock-unlock? Nothing last forever but I would want it to last as long as I want. (2) Also similar to (1) is it just as durable in any weather and dirty (even sandy, salty) environments? (3) Is there an index (or better yet a click notch) that allow the tripod legs to be setup in equal angle? I think this feature will be really handy! (4) Is any size/sections planned? This will be in the first line of my shopping list in year 2013, unless you guys come out with a dieted BH-55 ballhead, which I will get it without a second thought. The TVXC leg angle mechanism is very durable, and will wear evenly. It will have replaceable parts for long-life replacement. We haven’t had a chance to field test it just yet, but like any tripod part, dust and grit is the enemy. Keeping it clean will keep it operating at full strength and smoothness. There are no click or hard stops – that’s what the normal Versa legs have. I couldn’t say what other models might be planned, but I suspect we may offer many of the same sizes as the original Versa line in the future. Oops, maybe I wasn’t clear: for index (or click stop), what I mean could be a simple engraving on the leg that allow the user to set up normal (30degree I guess?) up right position. The Gitzo Explorer has it (a notch), I believe you guys can do better than theirs. It was meant for those (assume 10%) situations when a normal leg spread is needed in the field, because sometimes one can only bring just one tripod on a hike. I would say grits is the enemy while dust and ice may be an element that needs to be able to handle though – I believe normal TVC are proven to be very good at handling those and easy to clean afterwards. I would love to see a 4-sections but I believe you guys already knew that such “octopus” leg are very specialized and not many people (except those include me) will actually find it very very useful. Just FYI. 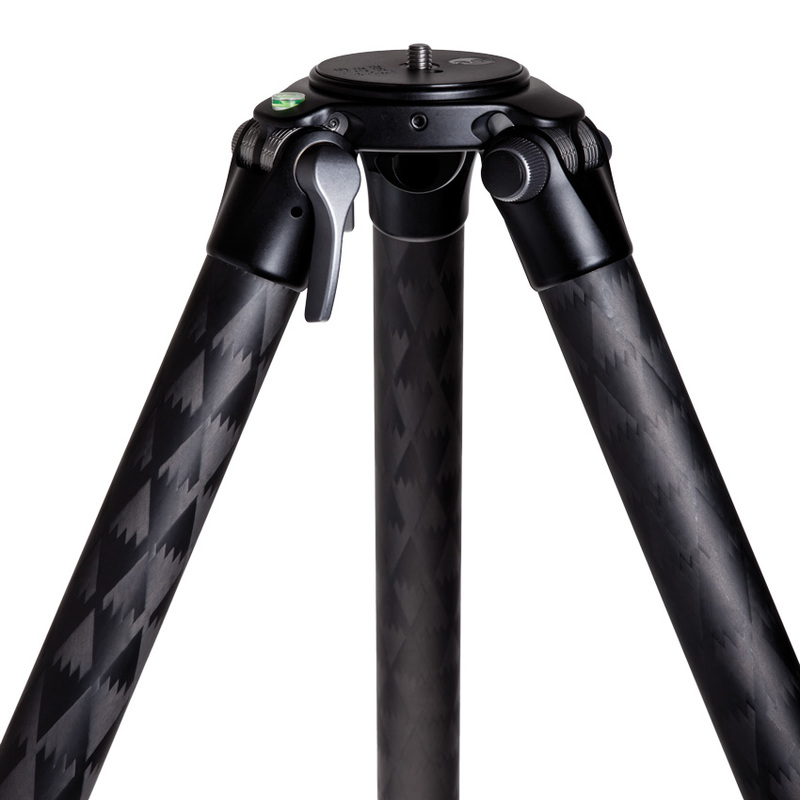 Like most tripods, our Versa legs have 3 ratcheting angle-stops on their legs (roughly 25, 55, 85 degrees). I believe this is what you’re referring to. Our mechanism is loosely similar to the Gitzo, but much easier to use, and also spring loaded to auto-ratchet into position. Nop, what I mean is just an visual “notch”, or “groove” cut into the upper spider of Gitzo Explorer. Nothing serious though – a marker will do but hope you guys can at least “engrave” it. If you would love to see it I would try to find a picture online – I had explorer before but its been so many years and long sold. Any updates as to release dates for the new series 4 tripods? Holding out until they are available.. Nothing firm at this point – we’ll definitely make big announcements on our social media (Twitter, Facebook, etc.) and through the newsletter once those products are available for order. Will the new Tripod 4 Series will accept the TA-3-LB leveling Base? I’m planning to buy a new tripod and I’m considering the 34L, but since you are going to release a bigger/stronger lineup I’m considering waiting. My setup is Canon 600 f4 IS + 1.4X + Pro Body. Will the 34L do the job, or should I wait for the TVC-43? The Versa 3 leveling bases will not fit in the series 4 apex, so I imagine we’ll be designing new leveling bases (100mm ball size) for the new tripods. The 1.4x tele-converter might push the limits of a Versa 3 model at slower shutter speeds, but there are plenty of shooters out there using that combination now. 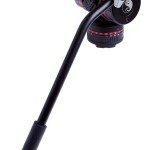 Keep in mind the Versa 4 tripods will be a big step up in size and bulk, making it less portable. If you only use that 600mm lens in daylight applications, I’d say the 34L would be great. I would like to have the maximum stability for my setup, and I don’t mind to handle the extra weight/size of the Versa 4 if I can achieve that goal. Do you have an idea when the new Versa 4 it will be available? I’m using the EF 600 L IS II +1.4X + EOS 7D so a setup that’s quite sensitive to shake.I’m using a TVC-33 with a Wimberley Head and frequently get sharp shots down to a 160th of a second. I sometimes have blurred frames due to the quite hard mirror slap of the EOS 7D and I think the Wimberley is the weak point here. I know others using a Sachtler FSB8 on a TVC-33 and this is said to eliminate this last issue. But to be honest regarding the tripod, the TVC-33 does the job quite well and is already enough to carry around if you don’t want to use a trolley but walk with backpack. Do the new “X” series include a fix to your “wiggly legs” problems. I know you guys always have answers and videos on how to fix your broken (very expensive) gear but the truth is, it should not happen in the first place. Our Gitzo Systematic tripods did not get wiggly legs and require a fix with loctite…my arca swiss ballheads do not get stuck at every wedding and become useless. So my question has the Versa X engineers fixed the wiggly legs problem. I assume this is what the clamp lock is for. When will these be available for purchase? I also assume you’re now including FREE loctite with all tripod orders? Do you have any plans to support Blackmagic cameras? I pre-ordered a Pocket Cinema Camera and would love to have an L-bracket or cage for it (to give me access to all of my RRS accessories). I don’t think we have plans for an L-plate, as video cameras won’t benefit from them in the same way as the DSLRs do. If you’d like an L-shaped rail to allow mounting of L-plate accessories, you can combine our MPR’s (multi-purpose rails) with the CRD rail. Another reason L-plates don’t generally work on video cameras is that they run left/right with their dovetails, while video QR systems are based on fore/aft dovetails for balancing on fluid heads. Patiently awaiting the series 4 to be released. I know you mentioned it would be available this summer, I’m hoping to be able to grab one before a big outing this fall that I’ll need it for. Any info on the pricing for the TVC-45? even a rough general estimate would help, so I know how many pennies to shake out of the couch cushions…. We’re hoping the Versa 4 tripods will be ready soon – they’ll be one of the first releases of the products announced at NAB. My best estimate for the TVC-45 price as of now is roughly $1300-1400. I believe the height will be even taller than what was showcased at NAB. New FH-55 looks amazing. Any update to when I can get my hands on one? I am really looking forward to the Versa 4 tripods, and I hope that my trip to Iceland in Sept would be the first test. What is the possibility of that ? I will order it right away when you have it on your website. Thanks for the inquiry, Jeppe. We don’t have any release dates or final prices set at this time. I don’t want to make any guarantees regarding a September release but please feel free to keep checking back for updates–we’ll share any information we have available. For the quickest responses it’s best to contact info@reallyrightstuff.com. Thanks again and happy shooting! Once again I’m disappointed that RRS announces a product, indicates a tentative launch date (or time frame) and then when that date comes and goes, they obfuscate when asked directly about whether a launch is imminent or still months away. I have tons of RRS equipment including 2 tripods, pano stuff, flash brackets and L brackets for every camera body I’ve owned for a decade…6 Canon pro bodies. I’ve been occasionally calling to ask about the release date of their new video fluid head and slider since the announcement at NAB after watching the Kelby video interview on YouTube on April 9. I have a project quickly approaching and I really should’ve purchased from a different manufacturer because it would’ve given me a month plus of getting used to the equipment. It’s going on 4 months and since the NAB announcement and still no answers. It wouldn’t bother me if this was the first time, but this same thing has happened two other times. I truly appreciate your aggravation and apologize for any inconvenience we’ve created. For that reason, a couple of years ago we made the decision to announce new products (especially more complex ones) only when we were quite certain of launching within a month. That was not possible with these video products because we committed to the NAB show nearly a year in advance and were bound to present our best prototypes available at show time. You would think that if we had a year to prepare, surely we’d be totally ready in time for the show, but it has taken a lot longer than anticipated to get the products really right for shipping. Unfortunately, we still do not have a firm enough handle on the true ship dates to be more specific. We are pretty close on a couple of the products and will announce a more concrete ship date shortly. One thing I can promise is that I’ll never ship any product I wouldn’t personally be delighted to use myself. That said, we are investing to accelerate new product development. Last October we inaugurated a CNC machine shop fully dedicated to New Product prototyping, we’ve hired additional new-product design engineers and we are on the cusp of launching more significant new products over the next 1-2 months than at any time in company history. We commit to doing this better. Joe Sr.
Jim, thanks for the update. As a product designer, I’m not at all surprised that this is the case with the new territory of the FH-55, VS-88, VG-02 (btw, I’ve just started my own gear company and I’m very jealous you beat me to market the gimbal-with-fluid-drag idea! 🙂 ) and probably even Versa X. I must say though I’m surprised the Versa 4 hasn’t arrived; it looked like that was just a bigger Versa 3. Is there still not a release date even for that? PS – Any plans for a bigger ballhead to match the Versa 4? Without the bigger head, I’m not totally sold on the usefulness of bigger sticks. Together, I’d be first on the preorder list. The Versa 4 tripods are a whole other arena in support due to their size and scale. And of course, as with any new product, we’re of course taking the time to make improvements where possible – like changing the shape to save weight instead of simply making a bigger Versa 3. We hope to have an announcement in the next few weeks. As for a bigger ballhead there’s nothing on the immediate front. The Versa 3/BH-55 combo is big enough for most photographers even with the biggest lenses. We’ve brought the Versa 4 into the mix largely for the video shooter (100mm bowl capacity) and the heavy-duty needs of crane/jib operators, and guys shooting with big rigs. BH-55 will work well on there, but it’s more likely to be used with video heads, PG-02/VG-02, and jibs. I had the privilege to handle the FH-55 prototype at the RRS showroom in SLO last week. If it comes priced ~$1500 it will be worth every penny. Another RRS work of art made in the USA. These announcements are great news! The series 4 tripods look promising. I bought two of the 34L models and had to switch back to my Gitzo series 5 tripods because the Gitzos were was noticeably stouter (I shoot timelapse and usually have at least 50 pounds of lead shot hanging below the tripod…this was too much for the 34L). It would be great to have one taller version available in the future as well (Similar to the giant Gitzo with six leg sections). I certainly hope there is a new, heavy duty still photography ballhead in the works, the BH-55 is just not big enough for use on a larger tripod. Ideally, it would be something a little larger than the Arca Swiss B2, with a heavy duty integrated panning clamp on top and a screw knob release (in keeping with the heavy duty theme). I’ll be the first in line if you make one. 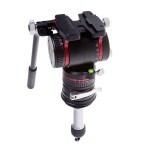 When will the FH-55 fluid head and new X tripod series be available to purchase. Please respond to your customers with an accurate release date??? We hope to have the FH-55 out before the end of the year, but don’t have concrete release information to offer at this point. We will announce any details once those are set. As for the Series-X tripod – it’s looking like that development has been pushed back indefinitely, due to a lack of general demand/interest from customers. The new Versa 4 tripods are still coming, but like the FH-55 I don’t have any updates to share as of today. I’m sorry to hear about delaying (canceling?) the Series-X tripods. My first tripod was a Gitzo Explorer whose legs can be locked at any angle up to 90° (not just up to 85° like the X), and since then I could never really make friends with “regular” tripods having only 3 leg positions. A Series-X 24L might very well be my dream tripod. Sad news on the X-tripod, I was holding of purchasing a tripod until it became available. Have you guys tried selling the idea of a proper leg lock on a tripod? I’ve not heard much about it and innovation does normally not sell itself (even this blog post is hard to find). Sad News for the X-tripod, did you try to post a video on the lock feature, I imagined how it look like (but i might be wrong), but many people need to see it in action so they can decide on it, and you will get the proper response to decide developing it further or not. I appreciate giving us more tripod default details on the series 4 as well as a video on the X-tripod lock feature and design, and I believe you will get the response you need, RRS are the best quality in the market AFAIK. Hello, I would like to know if the Series X tripods are coming to fruition in the near future. Planning a tripod/ball head/panning clamp/L-bracket purchase very soon, and will wait if the X series will be available eventually. Don’t want to spend $1000+ on a TVC-34L and find out the X series is coming! LOVE, LOVE, LOVE the idea of infinitely adjustable legs. Thanks! I’m also interested in the Series X tripod. I currently have a Explorer and love the infinitely adjustable leg angles. Would love to see it as an option for the TVC-34L. We’ve put the development of the X-Series tripod type on indefinite hold as we feel other products like the video slider warrant more immediate investment in time and resources. This is primarily based on feedback and a relatively low interest in the X-series design that we’ve seen thus far. We may revisit the concept in the future, but for now at least we’ll be sticking to the Versa style leg joint design. In selecting the purse for helping her husband was discovered that the woman’s tote is often the most innovative designs debut, but men of all ages ヴィトン 長財布 rarely replaced instead; if all bag which has remnants of affection, then, is just not it substantially more memorable versus the young lady, the person now? Most women, assuming you have a person to put your shot within finances to transport, then, kindly enjoy him. Due to, to him, you already are newly born baby. I’m currently pouring over choices for sliders and am very curious what happened to the belt on the VS-88 as it became the now available VS-288. Are there any plans to offer a belt option as an add-on to the VS-288? At this point the development of any motorized drive system for our VS-288 is a long-term plan at best. If you need a solution for time-lapse and powered motion I would probably recommend considering another slider, as the electronics, software, and other hurdles we need to cross for that system to be fully realized are numerous. It was originally our intention to have that system developed quickly, however after the initial stages of R&D we’ve found it will take much longer than originally estimated. Fantastic piece – I was fascinated by the info . Does someone know where my assistant might access a sample PA 600 L version to work with ?